The boundaries between console and PC gaming have been getting blurrier for some time now. The traditional distinction was always consoles for the big screen in the living room and PCs for desktop use. 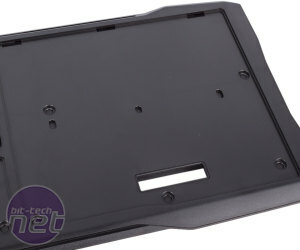 However, there have been pushes from numerous directions to make PC gaming an equal or even superior alternative to consoles in the living room. Nvidia, for example, has been pushing streaming and cloud services with its Shield devices, while Steam Machines and DIY small form factor builds seek to bring desktop PC horsepower to console-sized chassis. 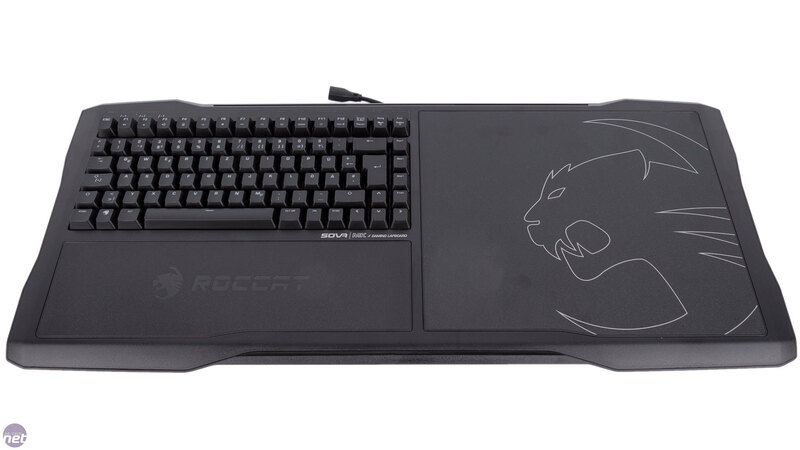 It's the arena of living room PC gaming that the new Sova from Roccat enters. 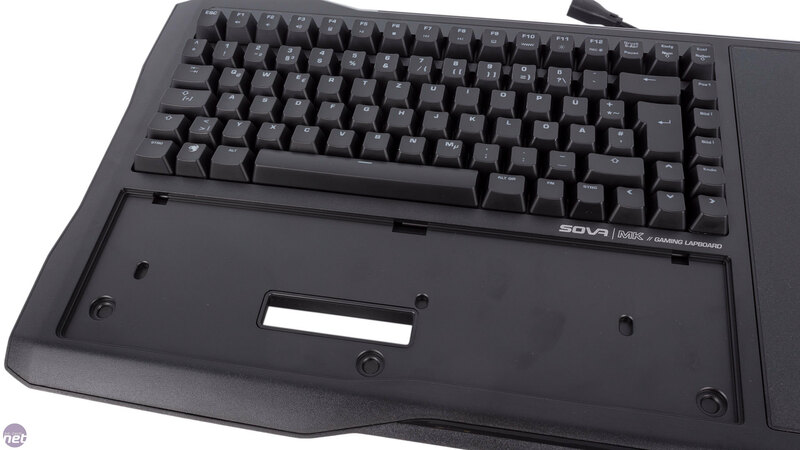 Described as a 'gaming lapboard', the Sova aims to bring a true keyboard and mouse experience straight to your lap so you can play all your favourite PC games from the comfort of your couch without having to settle for a gamepad. 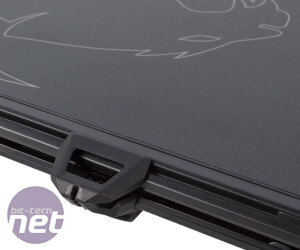 It's not the first product to do this – the Corsair Lapdog and Razer Turret are both already available – but Roccat does claim it's superior to anything else currently available, and it's this claim that we're here to test, of course. To satisfy different needs and price points, the Sova is launching in two flavours. The first, with a built-in membrane keyboard, will retail for £119, while the second upgrades to mechanical switches and will sell for £159 – it's this latter model we're looking at today. Amazon should be accepting pre-orders now, with shipping currently slated for August 17. Roccat is also running an introductory offer for pre-orders whereby each one qualifies for a free Kova mouse, worth £40. Both units are wired, but a wireless Sova is also in the works, launching in Q4 or perhaps in 2017. A quick word on our own sample also – we have a PVT unit, not a final retail one, although ours is as close as possible to the final, mass-produced retails ones. As a result, it also has a German layout, but all the usual local layouts will of course be available as appropriate. While the Lapdog offers a space for your own keyboard, it's only really compatible with specific Corsair keyboards. 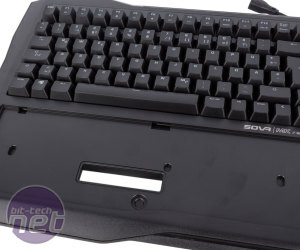 Roccat has gone for a built-in model instead, and this has allowed it to cut down the size – the keyboard here has a form factor somewhere between tenkeyless and 60 percent, and at 645mm wide the Sova shaves almost 100mm off the Lapdog's width, despite the mouse surface being the same size at 280mm across. 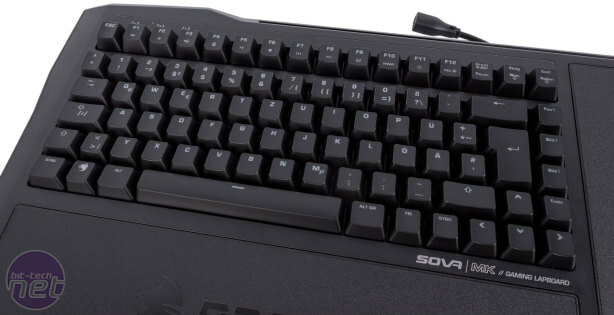 At 290mm deep, the Sova is 30mm bigger than Corsair's unit, but equally it comes with a full-size wrist-rest. 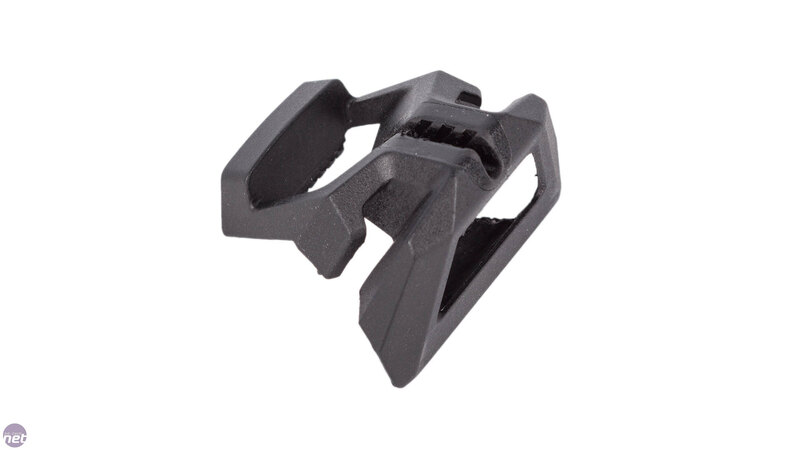 Plastic is the core material here, which of course helps to keep the weight down, but the Sova still feels sturdy. Our sample weighed 2.6kg, which is the same as Lapdog before you add a keyboard to it. On the underside, there are four thick foam pads to help cushion your legs against the Sova's weight. 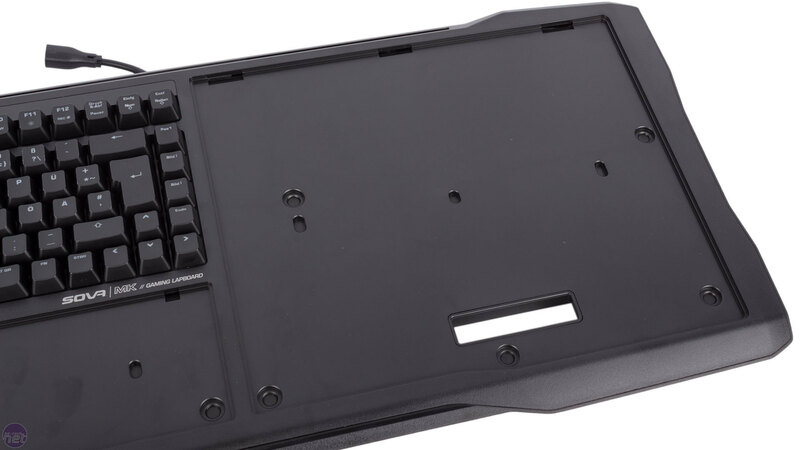 A neat feature is the tool-free disassembly; each of the pads is easily clipped out, and doing this for the front ones allows you to push out both the wrist-rest and mousepad so they can be replaced. 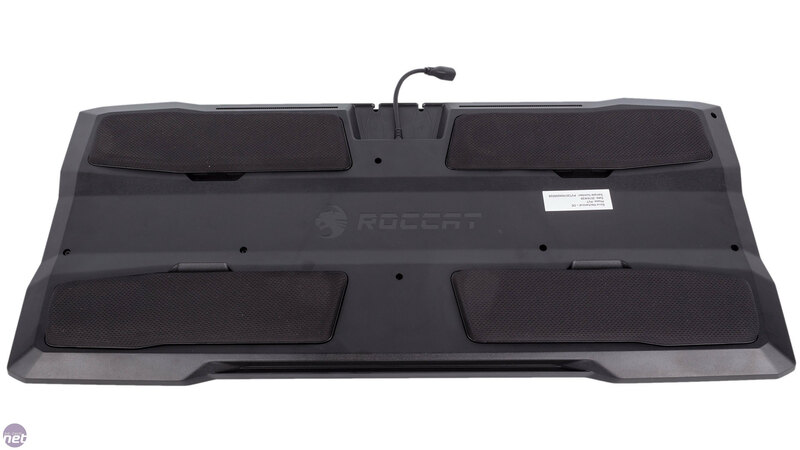 Roccat has said it will offer a cloth mousepad, but hasn't yet finalised what replacement wrist-rests will be available. 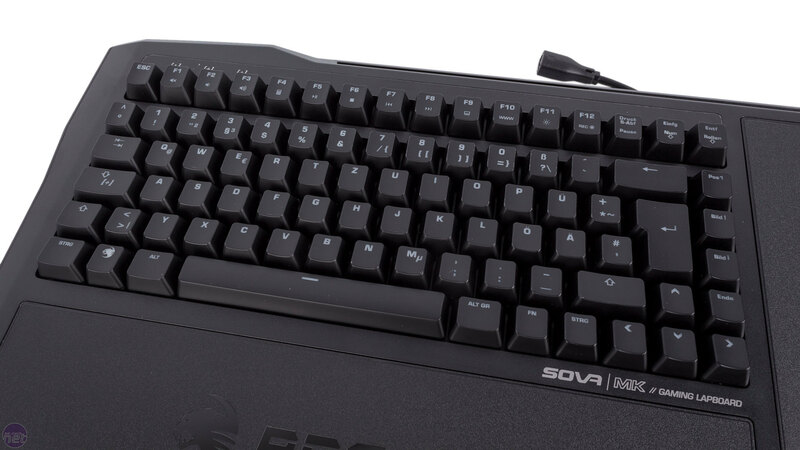 Although this adds a degree of modularity, the Sova is still designed only for right-handed players. 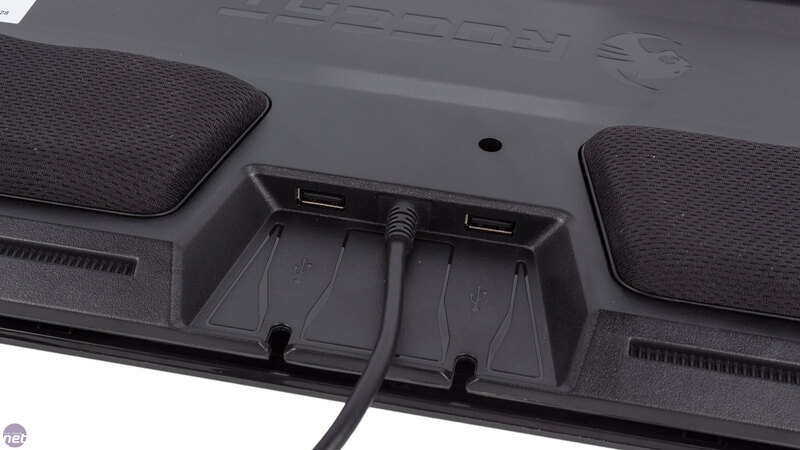 The Sova uses a single, relatively thin, 4m cable then ends in a pair of USB plugs – one for the keyboard and one for the two-port USB 2.0 hub on the rear, allowing you to connect both a headset and a mouse directly to the unit itself, reducing the amount of potential trip hazards draped across your living room floor. Speaking of, the main USB cable is detachable via an anti-trip connector – yank the cable and it will disconnect rather than bringing the Sova crashing to the floor. 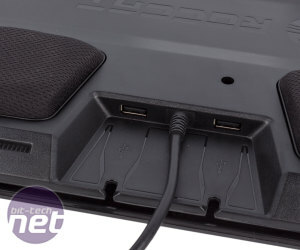 Roccat's board also has no need of a mains power connection, unlike the Lapdog. 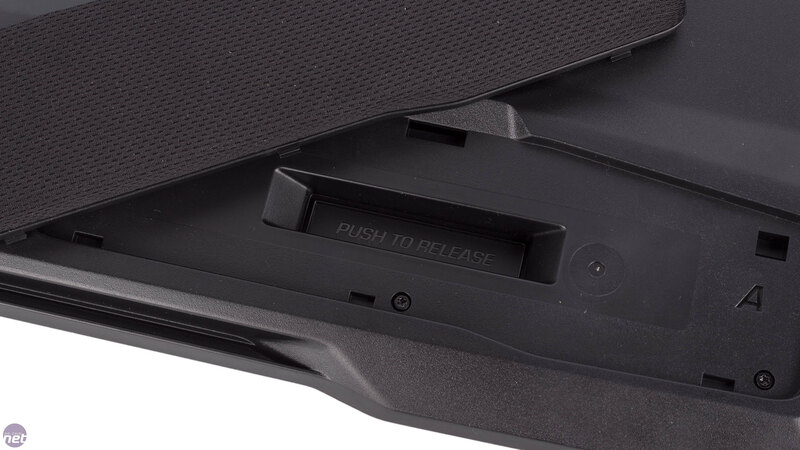 Running along the Sova's back edge is a set of rails, and it's these that the supplied mouse bungee attaches to. This is a really neat way of securing your mouse to the Sova, and it gives you control of how much cable you want as leeway. 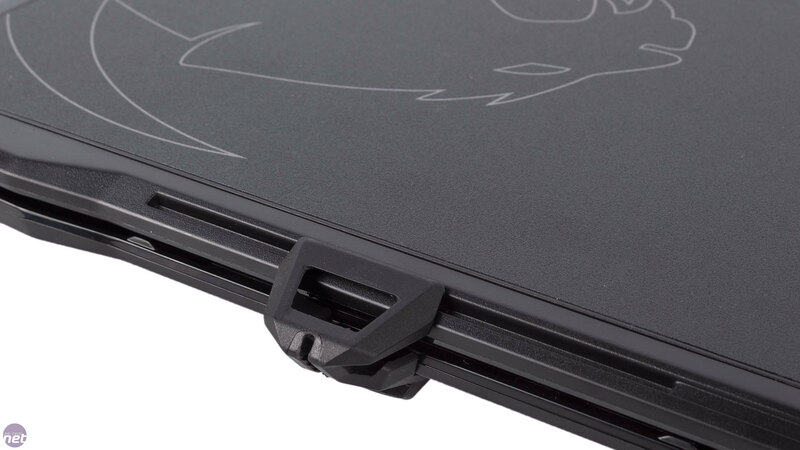 There's still the issue of the excess cable between the bungee and the Sova's USB hub; the lapboard does have a small cable channel along the back edge to help but we didn't find it to be that effective. 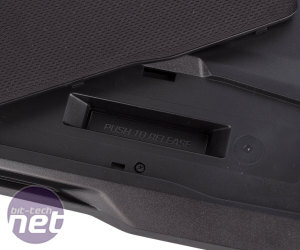 Roccat is also planning to release a pair of smartphone cradles using this rail design; one with built-in inductive charging and one without. Even better, it will also be giving away the 3D file for the rail fixture so people can design their own fittings for 3D printing. Overall, the Sova definitely seems to have a well thought out design. 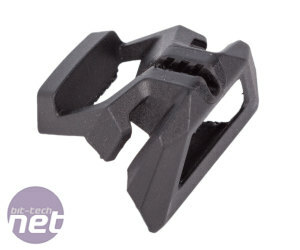 One addition we would like, however, is a simple key puller to help with keeping the keyboard area clean.